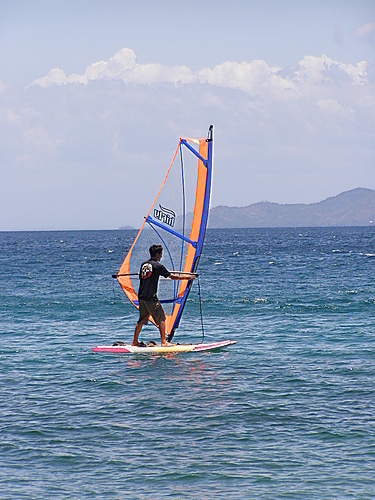 The Tondaligan Blue Beach at Dagupan City holds a big promise to become the new wind surfing capital as well as a diving site throughout the country that could thrill local and foreign visitors. This was bared by former city councilor Liberato Reyna IV, an engineer, who was designated chair of the water sports event of Dagupan's Platinum Year celebration. The coming of the PWSA coincided with the demonstration testing of watercraft sports of Als Marine Inc., the local dealer of Yamaha sports water crafts, like jet skis, speed boats, banana boats, band wagon and kayaks at Tondaligan Blue Beach, and gears like life jackets, helmets and others.